“Rumpelstiltskin” is what we can call a true rarity for the collectors of Tangerine Dream. Extremely difficult to find, this collector's item is the adaptation of a children's story told from the voice of an actress at her peak in her career in 1990, Kathleen Turner. A strange and fascinating tale should I add where a miller boasts to have a girl who could transform straw into gold. Incredulous, the king has locked up the girl into a room of his castle. A room filled with straw which she had to change into gold, otherwise she will die. A hideous gnome allowed her to realize this miracle which has brought the girl to throne as the queen of the village. In return, she had to give her first-born to the leprechaun unless she guesses his name. If the tale is original, the music is a bit less. Except that it's a soft and a juvenile music with its chords of electric piano which parade in our ears such as a carillon can enchant with all the delicacy of the origins of its glass musing. No doubts, sonny and Grandpa Froese have clearly felt the purity and the naivety which cross this tale by weaving a soft music surrounded of a mystic mist from a sober and a vaporous synth. Certainly, the work is not that brilliant. On the other hand, Froese and co shaped perfectly their music in the magic and in the intensity of this hybrid tale where the delight is astride a soft virginal horror feeling. A music sometimes melancholic which embraces a youthful tenderness (Rumpelstiltskin Theme, The Countryside and A Walk Through the Woods) and from time to time dramatic and poignant (Alchemy of Straw et Dance on the Hills) while caressing the soft madnesses of the fanciful fairs ( Rumpel Town). The music of the Dream is surgical and sculptures all the feelings of the author Gebrüder Grimm with very nice arrangements and orchestrations which fit more at the New Age scale than EM itself. This is pure movie music and TD reaches this goal without any doubts. The album is modulated in 2 parts. 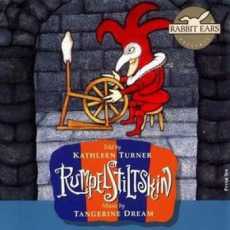 The longest one (Rumpelstiltskin) is really a background music which is sometimes nicely presents but mostly hidden behind the voice of Kathleen Turner. The second part offers the musical side, without the story tale, with additional passages and a bonus track which is not in the background music behind the tale; ''A Mother's Triumph''. Good music, but could we expect more from Edgar? I'll let you be the judge of that! But all and all, “Rumpelstiltskin” is a correct album. I might add that it's a nice music where the Dream is sober and offers a music closer of its harmonious roots ( Le Parc, Legend, Underwater Sunlight, etc.) that what the German duet will offer in the 90's. An album for the fans. But an extremely rare album and where the invoice exceeds widely the value of the artistic contents. A 42nd album! How can we forget Michel Huygen's name when we speak about dominant figure in EM? Whether it is in solo or with Neuronium, the Spanish musician/synthesist always manages to sign works of a sound elegance as much troubling as intrusive. More comfortable with the immense sleep-inducing layers which wrap us with their always musical wings than with a music led by movements of sequences, Michel Huygen, as Neuronium, has signed works of simply divine meditative atmospheres. The last one in the running being Nocny Lot; a mainly ambient opus which hid some very beautiful movements of sequences clearly more harmonious than rhythmic. It's a bit much the skeleton of “Jamais Vu”, but with some exceptions which are so much going to amaze you than to charm you. And believe in me, both go hand in hand here. Drops falling from the skies click and resound in vapors of iodine. A voice of goddess spreads its anesthetic perfume, being friends with these layers of ether which draw these psychotronic brooks which bear the Neuronium seal. The voice is very deeply moving with acute chants of which the electronic tremors resound under the hold of the soporific layers. Other layers, more enveloping, enclose our senses. Like analgesic shadows, they cross our hearing curiosity with a tone embroidered in the sulfur and these perfumes of imperfect trumpets of the vintage years. It's a return in time! We really are in these floating and evasive layers of the years 70-80, but with a breath of contemporaneousness. Beatings go out from this sedative hold towards the 5th minute. Ambient, the rhythm unfolds its sequences which zigzag in symbiosis with synth solos from which the magic singings resound in our ears as those of former days. It feels good to hear a synth to do something other than effects! 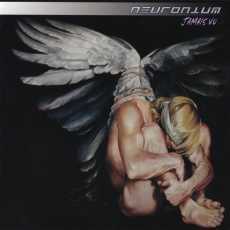 The introduction of "The Taste of your Soul" plunges us into the phases of this ambient and very meditative music of Neuronium. The lines synth, always perfumed by some psychotronic essences of Michel Huygen, are floating with such a heaviness that we feel their hold on our feelings. Very musical, the Spanish musician lays solos with the scents of these 70's tones. Incisive and poignant solos from which the slow winged movements embrace the chants full of serenity from a seraphic choir which murmurs sweetness and tenderness to our ears. 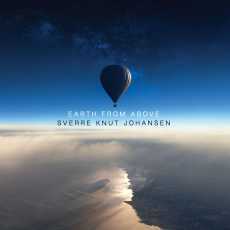 Here, the ambient music takes another dimension with a very intrusive identity which banishes any kind of abstract or atonal music and where the serenity and the harmony merges until sequences are pounding softly around the 12th minute. The movement remains so quiet, except that lines of sequences are winding the ambiences, like lost steps in search of a den. The movement is light. One would say angels who chase each other, who embrace themselves and push themselves away in a hypnagogic dance which refuses a minimalist influence, weaving even a harmonious pattern as much seraphic that of the most tender lullabies. "De Si Loin...(From So Far...)" begins with a thick cloud of hollow winds which dissipate in order to make room to synth layers which go round in circle like keen oscillatory waves. It's a dance of the winds which slows the pace in a wall of slow winged caresses of which the shadows are floating softly like a sigh of an insuperable sorrow. Other shadows accompany this procession of melancholy. They whistle, like to bring a touch of pleasure which spreads with the liveliness of the songs from the wind which decorated the intro. A brief moment of enjoyment which is tarnished with the arrival of glass arpeggios which clink for an ambient and a crystalline melody, irradiating so these gloomy atmospheres drawn by a synth to the breaths as melancholic as Vangelis' dark corridors of sadness. Playing a little on the same parameter of time and on the same kind of dreamlike structure as on "The Taste of your Soul", "Le Délire de Vieillir (Delirium of Aging)" proposes also a long ambient overture knotted around layers of voices and electronic psychotronic effects. Delicate arpeggios are ringing and trumpeting a soft astral melody around the 15th minute. The chords resound with a fascinating duel between their shadows, sculpturing a superb and delicious monument of tenderness which crunches you the soul. Splendid! One would say stars which try to comfort our fear of dying. After a very pastoral intro, which collapses under the weight of a monks' chorus, "Audiophetamine (Jamais Vu)" extricates itself from the oblivion as a skeleton which gathers again its bones. Electronic chords spit tones of which the shadows crackle of white noises. These radiances weaves a sound mosaic which is of use as background to a pastoral electronic hymn where the chorus slams their hands like in a kind of a very lively, but speechless, gospel. Between Techno, Soul and Funk, "Audiophetamine (Jamais Vu)" destroys our loudspeakers with a lively and heavy structure where the knocks of bass percussions and the bangings of hands unite the fire of their passion in a superb electronic rock which turns us upside down as never Neuronium has made it. Delirious and really powerful! What we have here my friends is a great album! No matter the kind, the style. “Jamais Vu” is a magnificent album to the measure of Michel Huygen's multiple passions for life, for his loves, his friendships and his love of the art. Of EM, yes but not of any kind. The one which stands out and which gives this second breath to an art, and this always no matter the kind, which always needs to resource itself in order to get fresh ideas. Yes my friends ... a very big album! Second collaboration, after L'apocalypse des Animaux in 1973, between the French film-maker Frédéric Rossif and Vangelis, “La Fête Sauvage” is a little made around the same principle as Fais que ton Rêve soit plus Long que la Nuit , that is to say a long mosaic of 38 minutes where nests a multitude of structures with atmospheres of tumult. Except that here, a dozen of tracks, all very well separated (in fact the album would have very well been able to have 11 very different distinct segments or tracks), weave a sound mosaic where tribal African rhythms are skillfully mixed to ethereal atmospheres and where the cosmos flirts with lyricism. And that begins with tom-toms which rage under the electronic horns of Vangelis' synths. The harmonies which wind in loops over a frenzied rhythm of African dance are the kind to forge indestructible musical itches. The audacity of Vangelis is to unite African musicians in his London studios to play the tom-toms, others are going to sing in the segment two, in an electronic universe. It's in the spirit of the 70's with a Disco approach, of dance music which plasticizes a little Giorgio Moroder's style. Another segment of African rhythm, more in the kind of Santana, comes to move our feet around the 12th minute. The clock stops at 2:27 minutes where chants and percussions of Africa enchant our ears under the charms of a synth of which the very retiring melody will take back its throne in the magnificent part of about ten minutes (between 18:12 and 27:18) when the voice of Vana Veroutis, that we heard in Heaven and Hell (I heard that the music was composed few months after), caresses our sense of hearing with so much delicacy as these arpeggios which ring such as glittering reflections. The dreamlike atmospheres and those of a jungle in constant urgency to live are exchanging roles throughout the 38 minutes of the album. There are always these moments when the line between cosmos and esotericism is edging over the emotions of sounds. I think in particular of this section where a flute with a lot of Asian essences sing on a bed of percussions charmed by these celestial harmonies. That makes very Kitaro! Although Kitaro came later. The section of Vana Veroutis, or around the 18th minute, announces the most serene moments of this album where we always have this impression to hear some already-heard tunes, so much these fragments have danced in our ears. There is beautiful moments of tenderness scattered in these minutes with some sinister, even dark atmospheres, a little as if Vangelis wanted to denounce the horrors which cement the world interest on the fate of jungles and of their inhabitants. In brief, a nice album which exists under various forms (a few editions present some of Ignacio's extracts while cutting the original music of this movie), thus vigilance is required. But if you are alert, you can find it at good price over the Internet! We move forward in the Indra universe. Having got back the music lost in the end of the 90's and at the beginning of 2000, this last part of the Archives series concentrates on compositions forgotten in the stride of albums such as The Call of Shiva, Volume 1 and 2, and Signs. This was the period where the minimalist EM perfumed by the essence of Schulze of the In Blue years bloomed out for the first time in the ears of the new followers of the music from the Rumanian synthesist. And the most interesting aspect of “Ruby Five” is to hear the evolution of Indra who always remains a proud defendant of his poetry in sounds. "Genesis of Pan" begins this last part of the Ruby series with an ambient track fed by drones and by hoops in colors of azure which spread their radiances around electronic noises and fragments of melodies erased by time. It's maybe the least interesting track of “Ruby Five”, but the finale is majestic with superb arrangements which transports us in the time of Babylon. "Follow Up" changes totally of range with a hopping rhythm which sounds as in the 70's when the Pop and the electronic mixed their flavors in weird commercial tunes. It's lively and cheerful with good sequences which bounce in contrasting tones and among some good electronic effects which chirp in the vampiric melodies of the electronic mists. "The Connoisseurs" proposes a heavy circular rhythm which swirls in sound effects and in effects of sharp-edged wiish which remind us some atmospheres of horror movies. Minimalist, and especially very enveloping with its effect of linear loops which swirl tirelessly, the structure of rhythm goes up and goes down, spins and offers variations in tones, while the electronic effects forge sequences which collide without knocking down the moods. And little by little, the beat increases its cadence with a structure as unstable as tremulous which is decorated with tinkle of which the transparency is contrasting with this circular and finely jerky dark rhythm. Playing on the nuances, Indra attaches to it an unfinished melody with chords which ring into effects of astral voices. An explosive finale is just missing here! "Creole" is a long track which has several rhythmic skins before fading in nothingness. Its beginning is as much jerky as in "The Connoisseurs", a little less fast on the other hand, with curt hits which resound musically behind the curtain of a synth to the very harmonious solos. The approach is circular and goes for a more lively structure fed by 5 vigorous beatings which are slowed down by 2 more moderate ones. 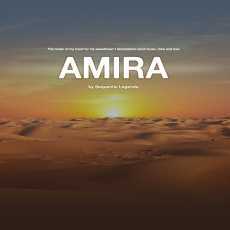 Often playing on tribal essences by means of a guitar forged in the archives of his Kurzweil, Indra proposes a delicate serenade drawn by an acoustic six-strings whereas little by little the spirit of "Creole" adopts this tangent of clanic trance so dear to the repertoire of the Rumanian synthesist. "The Leap" is a beautiful ambient ballad with delicate percussions which slam in winds without structuring a lively rhythm. Keyboard chords are strolling around, weaving a melody without soul which roams in this pattern of ambient rhythm of which the velocity of another line of rhythm maintains in its yoke of ethereal ballad. Calm, but hypnotically mesmerizing, the minimalist approach gets embellished by gyrating chirping with effects of loops which loosen finely stroboscopic synthesized harmonies. It's a very good track if we want to ramble in the cosmos. "Trance Location" begins with sequences which flicker in imperfect circles, structuring these electronic ambient rhythms which are painted by cosmic effects. The intro exchanges its ambient membrane for a structure which gallops with loops in rodeo weaved in a meshing of good lively electronic percussions and jumping sequences. At times, and if we have imagination, one would believe to hear this electronic train of Kraftwerk in TEE. This 2nd line of rhythm moves on with its double, deepening an electronic rhythm forged in creativity. The train of trance goes out of breath after 11 minutes. Flooded by electronic effects and, afterward, by long hollow drones, it tries to reconnect with scattered pulsations that circular electronic effects maintain in quiet mode. A huge cloud of sonic drizzle covers the ambiences of a heavy veil of astral serenity, entailing "Trance Location" towards a meditative finale where are strolling some lost chords of which the resonances draw ambient harmonies which fade in this wide wall of hollow winds. A delicate movement of sequences makes glitter its keys which sparkle like an astral brook, giving some more seraphic depth to a track which has presented us both extremes of the electronic hymns from the vintage years, but in a more contemporary envelope. So ends the first chapter of Indra's Archives. 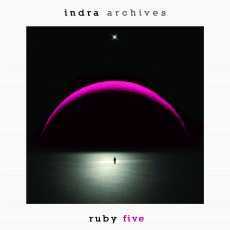 “Ruby Five” is doubtless the most realistic album of the emergence of Indra in 2005. Except for "Genesis of Pan", which can please for sure the lovers of ambient music, the 5 other tracks would have figured quite well on a possible Volume 3 of The Call of Shiva. This says all about the prolificacy of this artist who allies abundance and quality without weaknesses in the same phrase. Here is one of the most unknown albums, to the catalog and by the fans, of Klaus Schulze. Even so it respects the ideologies of the musical sampling that Schulze experiments from the beginning of the 90's. 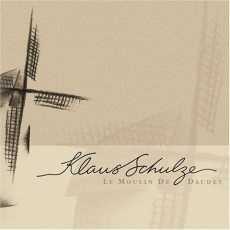 “Le Moulin de Daudet” is the 3rd soundtrack made by Klaus Schulze. And if its 63 minutes of music would have grown together in one big track, instead of 21 very short ones, this album would have doubtless better passed the test of criticisms. So much among the fans and the so musical experts of that time. Except that instead we find about ten tracks which hardly passed the 2 minutes time, making almost impossible to structure the visionary frenzies of the German master. And nevertheless, this “Le Moulin de Daudet” contains the same symphonic aura which flows on the works of Schulze for the last years. It's an uneven opus which contains beautiful small musical pieces, but we feel that Schulze doesn't feel at ease here. There are still a lot of flutes, ghost melodies and jerky ambiences with sonic prisms always set up by the MIDI technology, as in "Mother Sadness" and its weeping cello. A title that I like and, like several others, suffers of the short yoke of time. We feel that Schulze has some difficulty identifying well the ambiences of shorter tracks, exception made of "The Discovery of Maître Cornille Secret", noticed that melted to "Joy of Maître Cornille/Garden & Youth (Reprise)" it would have would have allowed to deepen better these ambiences. The same goes for "Le Petit Dauphin I and II". But overall, I still have this impression that he seems to be uncomfortable at the idea of creating a music that sticks to feelings other than his. However, the adventure Angst and Body Love went very well and turned out to be successful. But at the end, the music here doesn't seem to fit that much to the atmosphere of the movie, that I watched in Fast Forward mode if I want to be honest. Having said that, Revisited Records has re-released “Le Moulin de Daudet” in a very nice 3 panel digipack, as always, including a small notebook which includes extracts of interview, explanatory memorandums of Schulze on the music, new photos as well as a bonus track issued from a studio session in 2004. "The Ion Perspective" was initially composed as promotional music to praise the Alesis equipments during the electronic fair of Frankfurt in April 2004. In short, this is the Klondike to every fan of Klaus Schulze! In a mood oscillating between a progressive techno and a hollow jazz, Schulze mystifies the listener with a synth style trumpet which makes waltz and which makes spin solos on a rhythm supported by good dynamic percussions, a good bass line and an great sequencer modulated in loops. It's an interesting track which is worth the spending if we know how to shop on the Internet. Roughly, it's not with “Le Moulin de Daudet” that one becomes a fan of Schulze's music, but "The Ion Perspective" could help it understand why! At the beginning of the 80's, Steve Roach was torn between the influences of the Berlin School sequencer-based EM and the so said ambient music which was strongly inspired by his moments of meditation in the American deserts. This last style got the upper hand over the movements led by stormy sequences which nevertheless gave forceful albums such as Now & Traveller, although this album turns out to be a good dosage between his two forms of EM, Empetus and the huge Stormwarning. It's exactly in this period that is situated “Emotion Revealed”. Discovered by chance in 2015, the music of this last Steve Roach's opus was written and recorded in 1983 between Empetus and Structures from Silence, two albums which have propelled Steve Roach in the firmament of the big names of contemporary EM. The movement is delicate! Small sequences sparkle and flash, as if they were frozen in suspension, reminding the very soft ethereal introduction of the superb Reflections in Suspension; this first track which caught our sense of hearing towards the traps of seduction in Structures from Silence. There isn't 2 minutes to the meter that the magic already operates. Synth layers harmonize their caresses with the oscillatory circles of beat of the title-track, floating and circulating between spheres, whereas that some delicate percussions and a bass line forge a structure of riffs which swirl in a gyrating way all around this upward movement of "Emotion Revealed". Behind this melodious pattern of ambient rhythm hides a subtle tribal hymn where the tears of synth sing such as shamans in state of incantation. The senses in hypnosis, we notice hardly that the line of riffs increases its presence, accelerating even the pace, while the harmonious rhythm of sequences becomes weakened by a more and more omnipresent background. The envelope is rich and we are in another state of mind. This is when the long movement of "Emotion Revealed" is changing subtly the pace. Giving back to these sequences which roll in loops, like balls of sonic dusts roaming in the desert, their initial charms which shine in the singings of the synths which are splendidly mesmerizing. It's quite a track my friends! Recorded live in the Timeroom studio in 1983, I just don't understand that it was simply lost for more than 30 years... "Firelight" was recorded one year earlier, always in Culver City's Timeroom studio in California for an exhibition of the artist Rita Yokoi. It's a very quiet track where the slow reverberations of the synth lines are floating with other more musical lines and among scattered felted explosions. We can hear voices getting out from the slow layers drones just like atmospheric noises and spotted ringings here and there which seem lost in this immense cloth of quiet hummings. It's very wrapping and it plunges me inevitably into the atmospheres of Structures from Silence. 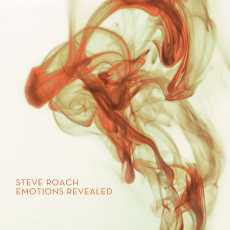 “Emotion Revealed” presents to us both sides of an era when Steve Roach emerged quietly on the world scene of EM. If the title-track reveals an influence of the ambient and hypnotic rhythms of the Berlin School, with on the other hand a unique signature for the tribal atmospheres, "Firelight" already illustrates all the influence of Steve Roach on senses with a meditative and very penetrating EM. It's the best of both worlds of Roach in one album. And it's, according to me, the best way of discovering all the dimension of a unique artist who in spite of all decades managed to maintain its rank of inescapable face of contemporary EM since almost 35 years! A real tour de force which says all.